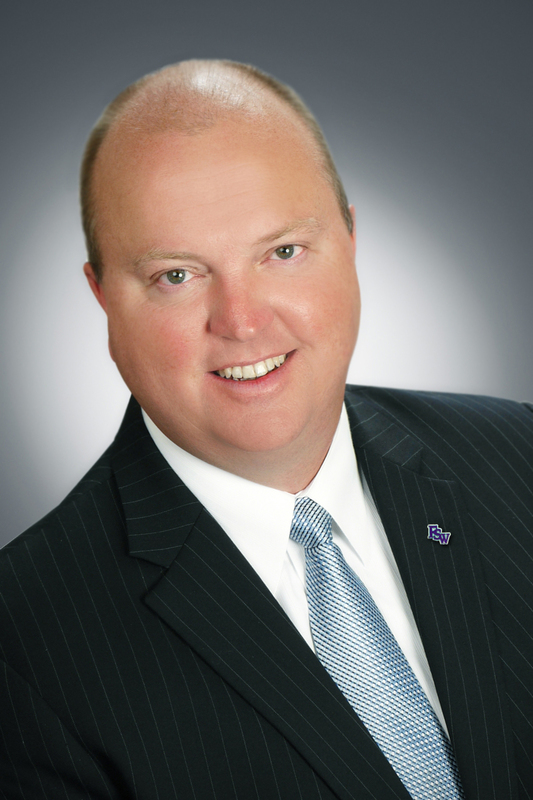 Dr. Jeffery Allbritten returned to Florida SouthWestern State College on July 31, 2012 as the College’s Fourth President after being unanimously selected by the Board of Trustees on June 1, 2012. He served as President of Macon State College, Macon, GA from 2011 - 2012. During his tenure as the president of the Collier Campus of Edison State College from 2003 - 2011, Dr. Allbritten successfully expanded enrollment and course offerings, as well as the campus itself. Working diligently to cultivate community and corporate partnerships, Dr. Allbritten was instrumental in the expansion of campus facilities to accommodate innovative programming. In 2008, the University of Florida NCEF Pediatric Dental Center and the NCEF Early Childhood Development Center opened on the Edison State College Collier Campus. In 2010, ground was broken on two important facilities: The Student Services Building and the Allen & Marla Weiss Health Sciences Hall. These buildings opened in February 2012. Also in 2010, Dr. Allbritten advanced an application for the creation of a STEM (Science, Technology, Engineering, and Math) focused charter school to the Collier County School Board, which was unanimously approved. Dr. Allbritten has been very active in the community, serving on a number of boards, including the Board of Directors for the former Economic Development Council of Collier County, the Greater Naples Chamber of Commerce and the German-American Business Chamber of Florida. He was an Advisory Board Member for Eden Florida and the Southwest Florida Holocaust Museum. He also served on the Editorial Board for Business Currents Magazine. Prior to his appointment at the Collier County Campus of Edison State College, Dr. Allbritten was the director of Pines Center Campus of Broward College, a comprehensive community college serving Broward County in southeast Florida, from 2000-2003. Dr. Allbritten served as dean of Liberal Arts and Sciences at Florida State College at Jacksonville, the second largest college in Florida with 80,000 students, from 1999 to 2000. Prior to his arrival in Florida, he was associate dean of the College of Basic and Applied Sciences at Middle Tennessee State University, Murfreesboro, from 1995 to 1999. Dr. Allbritten holds a Doctor of Arts degree in chemistry from Middle Tennessee State University, Murfreesboro, a master of science degree in mathematics from Murray State University, Murray, KY, and a bachelor of science degree in chemistry, also conferred by Murray State University.